The group are about to hit the road with the Tom Fun Orchestra, and as a fun accompaniment they have released a cool old-school video game based on the album. 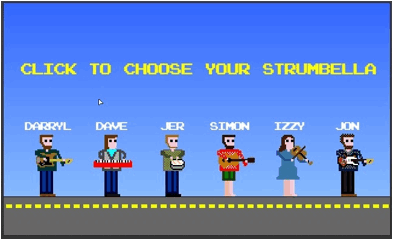 Play the Strumbellas game here. The Strumbellas play the Horseshoe Tavern in Toronto on November 8th with Tom Fun Orchestra. Really, I appreciate this game as well because I like to play various video game and Now I want to play this game as well. Thanks a lot.